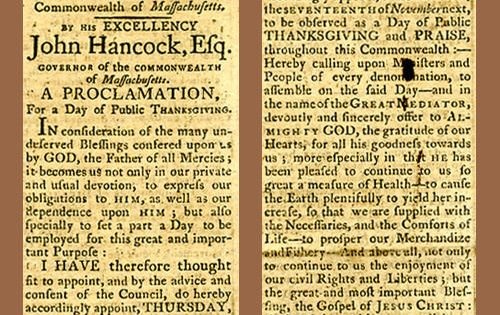 A Beautiful Thanksgiving Day Proclamation from One of the Founding Fathers — Knocks Those Claims that the Founders “Weren’t Christian” Out of the Ballpark | Have Ye Not Read? By His EXCELLENCY, John Hancock, Esq. For a Day of Public Thanksgiving.